Ascension Vibration balances the polarities both within and around you, reconciling the separation between matter and spirit, both here and beyond. It enhances the increased vibration of your physical body into a light body. This can enable you to visit other realms while vibrating on both the physical and non-physical realms. 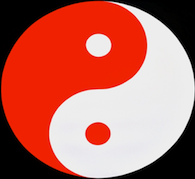 Using the yin yang symbol gives you access to this highly individualized vibration as an activator of your ascension vibration. This energy prepares your spirit and body to transcend the bounds of physicality into the highest potential for your Eternal Life. Ascension Vibration helps you to be at peace within yourself and move through karmic limitation so that you don’t have as many lessons. It may speed your way through difficult lessons so that you will complete easily all that is necessary in this lifetime. Using this system can increase your Light Quotient while being safe within your physicality, allowing you to be one with Divinity and able to exist within the boundaries of form. Ascension Vibration gives us the direct line ability to vibrate at an energy frequency that brings more of our soul into our body. Clear dense or evil energies away from your body and mind. Fulfill all the requirements of incarnation so to optimize your opportunity to ascend into Eternal Life when your body dies.